Chanukah celebrates the victory of the Macabees retaking the Temple in Jerusalem, and the finding of one cruse of oil that had not been tainted with Greek perfume. Tradition has it that this one cruse of oil lasted eight days when it should only have been enough for one day. Amazingly, the Israelites still today light the candlestick in remembrance of that victory, and live in hope that one day their Temple will again house the candlestick as a symbol of light to the world. Isaiah 9:2 comforts us with these words, "The people that walked in darkness have seen a great light; they that dwell in the land of the shadow of death, upon them hath the light shined." This brochure will share insights into the meaning of each element of the candlestick and its accessories. Exodus 25:31-40 describes the candlestick, which had a center shaft out of which six branches shall come from the sides. Seven bowls were atop each branch and the shaft. The snuffers and a set of tongs were made of pure gold, as well as the snuff dishes. 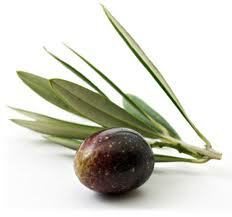 Pure oil olive beaten was to be brought by each and every Israelite to provide oil for the candlestick. 1. The shaft represents God. 2. The six branches represent man. Man was created on the sixth day. Man is incomplete until he is connected to God. The oil for the candlestick was to be placed in the seven bowls affixed at the top of the shaft and the six branches attached to the shaft. This oil was commanded to be brought by the children of Israel. Pure oil olive beaten for the light, to cause the candlestick to burn always. (Exodus 27:20; Leviticus 24:2) This oil was to be beaten. It was the responsibility of each child of Israel to bring this oil. Everyone had to see what it was like to get oil out of the olive. Everything is now available that pertains to the candlestick. There is an element that is not mentioned as part of the candlestick. This unnamed element is necessary - but for some reason the Lord did not place the focus on this element, but rather on the provision that the candlestick made for it. Whatever this unnamed element is, God must have cared for it supremely! This writer suggests that WE are the mentioned element. Could it be that the wick is our body? We are to let our light shine in a dark world. The wick is placed in the bowl filled with the oil olive beaten. The wick absorbs the oil and when lit, produces light. The length of the wick may be short. Someone may live only a day or two. Other wicks may be long - someone may live 100 years. Whatever the length of our days, we are to let our light shine until the golden snuffer crowns our head. Then the golden tongs gently removes our wick and places it in the golden snuff dish. When the golden snuffer is placed on our head, it is Coronation Day! One of these days out in eternity, God will have his Angel remove each wick from its golden snuff dish and tell the story of how that wick gave light in this dark world. The unsung heroes, who we may know nothing about, will have their story told about how they glorified God by letting their light shine. What a day that will be! We are not forgotten. God has wonderfully provided everything we need - for this life and for eternity. If we refuse to bring the beaten oil olive commanded In Exodus 27:20 and Leviticus 24:2, we will never know the peace that only God can give. Instead of giving light to the dark world we live in, we ourselves will be walking in darkness. In John 14:6, He said, "I am the way, the truth, and the life. No man cometh to the Father but by me." He took my place and your place on the cross. Why? Because He loved us! Psalm 16:10 tells us that He arose from the grave, and Psalm 110:1 tells us that He sits at the Father's right hand until all of God's enemies are made His footstool. I asked Him to be my Savior. You can, too. Just thank Him for being willing to take the beating that you and I deserved, and ask Him to forgive you for your sins. He will, and you will have His peace.